Although some DAWs do have their own analysers and to a degree you can look at the frequency analysis on most EQs, having a dedicated, multi-channel analyser makes a massive difference. 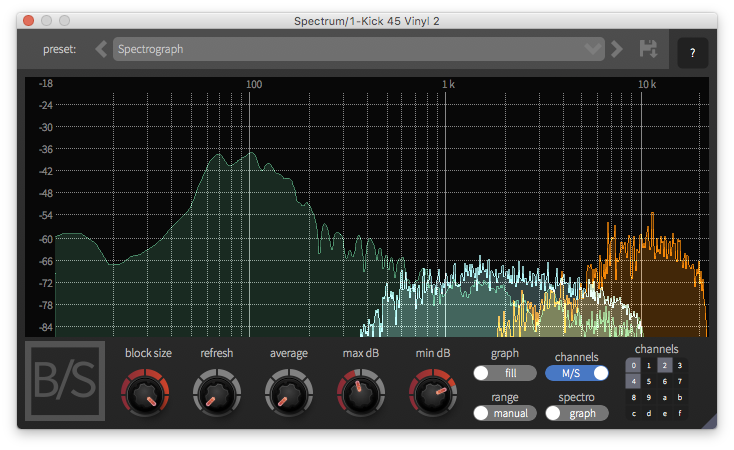 Spectrum allows you to route multiple channels to it, so it's great for looking at frequency clashes in the mix, such as between your kick and bass. There's also a cool feature where you can switch between frequency display in Hz or as musical notes which can be great for pulling up harmonics or locking in the fundamentals of a sound. There's a multi-channel version that supports up to 16 channels (eight stereo pairs) also available for just a £20 upgrade.